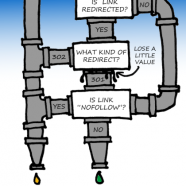 Not all links are equally valuable for your website. Answer the following questions and flow down the pipes to see how external links may help your site’s performance. Leave the tap open!